I'm a proud new owner of an XR Sport SE. I collect the bike on Tuesday next week. I have been, still am a Triumph fan (also have T595 Daytona), for the last 12 years having owned numerous triples/twins, and also an Aprilia v-twin during this time. The XR is my first 4 pot bike, and first BMW. I have px'd my 2016 Speed Triple S (love that bike, I did over 20'000 miles in just under 2 years), for a matt blue 17' plate XR with only 200 miles on the clock. I test rode one on Monday for a few hours, and suffice to say I liked it enough to do a px. 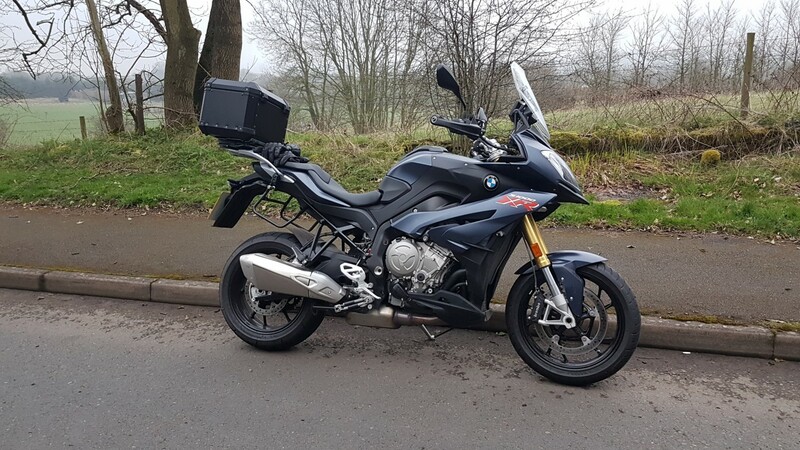 Have been looking for something different for the last few weeks and settled on the XR by accident after intially thinking I might like the S1000R, but I didn't even bother test riding that. It's a stock SE model, but I have ordered myself an MRA vario screen recommemded by a mate because that's the only issue i had with the bike was buffeting from the standard screen. I'm 6ft tall and I found the screen just not quite tall enough. Also got a rad guard on the way, and I'll be fitting my top box which hasn't seen the light of day for years. Can't wait until tuesday now. Like a kid in a sweet shop. I've been using the site a for a bit of research over the last week. Keep up the good work. Hello Nelster and welcome to the forum. Let us know how you get on when you pick up the bike. I'm reading about the dongle for dynamic pro mode. Am I right in thinking my SE bike should have one? I will talk to my dealer about it but I won't see him until next week. I'm very pleased with it. 600 mile service booked for friday, then I can explore the bike a bit more. Dealer explained all regarding the dongle so there is no more mystery. Just got some reading to do with the manual now. Fitted my top box this afternoon. Got the MRA Vario screen arriving tomorrow. Hi and a very welcome to the forum, Lots of good advice plus some very strange Humour You will like it lots.. They will always be Clark’s to me but I’ve always found them good people to deal with and still run my K and X/R via them despite over the years no end of folks slagging them off. I have a red one, but I'll have to agree with you. Congrats OP on the new bike. 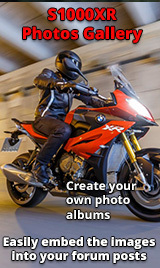 I also came from a Speed Triple which is a great bike, but the XR will not disappoint. Funny though, from 0-100 I'm sure the Speedy is just as fast if not faster, that bike could really launch. I have only ever been in 3 times. Twice within the last week. 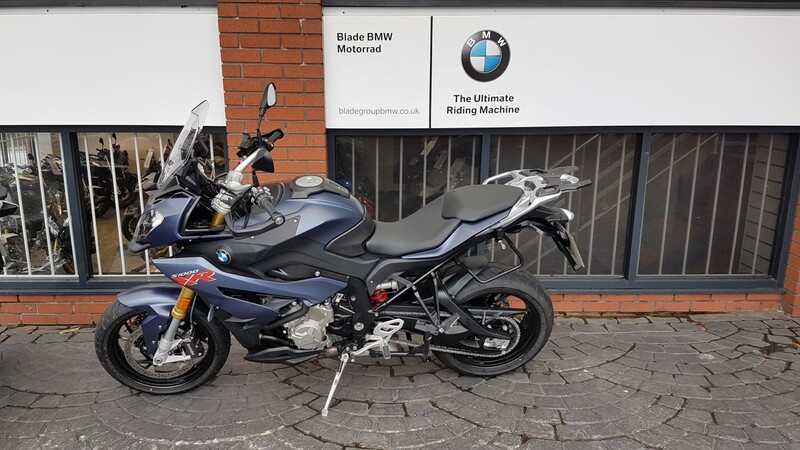 The first time was 12 years ago, when I went in prepared to buy a bike and the salesman refused to take my money or give me any information about the bike I was enquiring (F800). I can only guess that as I was still young (mid twenties) I did not fit the demographic at the time. I have been one of those slagging them off with good reason, but I acknowledge it is now nothing like it used to be. There are no fuddy duddy, prejudiced, old arse salesmen there any more. Because of that, I went and bought my first Triumph and have ridden little else since. As you can see it's taken me 12 years to walk back through the doors and I live barely 1 mile from the place, and only now because I know 2 chaps who work there. Reputations are hard to change, especially when you are coming from first hand experience. Now Clarks I am familiar with, but I do not associate them with BMW. When my old man was a young lad he took his first saturday job working for Doug Clark at the garage on the Lickey.